Meghan Markle took her time when it came to finding her perfect wedding dress. The Duchess of Sussex's bridal gown has been criticized because it didn't seem to fit her perfectly. 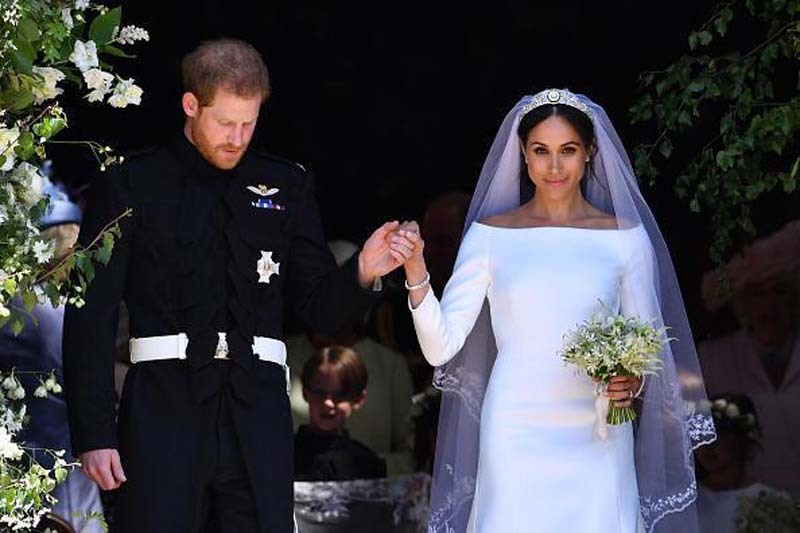 But according to its designer Clare Waight Keller, Markle had eight fittings for her Givenchy wedding dress. In an interview with Parish Match, Waight Keller revealed that she first met Markle back in January to plan the dress. The designer also said that the new royal "is a strong woman who knows exactly what she wants." "We very quickly agreed on the perfect dress," she said (via People). "I wanted a modern and fresh silhouette while respecting her style." "You're entering history at the same time as the Duchess of Sussex," Waight Keller continued. "It is an immense honor to have worked closely with Meghan and to have lived by her side all these special moments. Prince Harry came to me and said, 'Oh my God. Thank you. She is absolutely magnificent.' I am very proud. It's a fairy tale. A dream come true." Markle's magnificent wedding dress came with some controversies. Many found it very similar to Jennifer Lopez's gown in her 2011 movie, "The Wedding Planner." "Anyone else get JLO in the Wedding Planner vibes from Meghan Markle's dress? #whoworeitbetter #royalwedding @JLo #meghanmarkle #theweddingplanner," Juliann Marie wrote on Twitter. In addition, another designer, Emilia Wickstead, reportedly claimed that the design was also similar to one of her dresses. "Her dress is identical to one of our dresses. Apparently, a lot of commentators were saying, 'It's an Emilia Wickstead dress," she posted on Twitter, according to Daily Mail. She also threw shade at the fit of the dress. "If you choose a simple design the fit should be perfect. Her wedding dress was quite loose," she added. Kate Perry also felt that Markle's gown was too loose for her. "I would have done one more fitting," Perry said about Markle's gown. "I'm never not going to tell the truth! One more fitting, but I love you." The "Roar" singer also implied that she preferred Kate Middleton's wedding dress by saying, "Kate won!" Meanwhile, Wickstead's Twitter account has been suspended following her posts about Markle's wedding dress. A number of royal fans reacted to it and called her "unprofessional." Wickstead just issued another statement and insisted that she never claimed Markle's dress was a copy of her design.